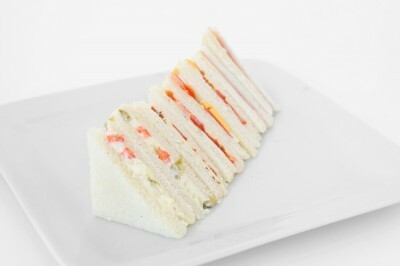 Soft sandwiches in a mini format, tasty and appetizing are stuffed with Russian salad, tuna and tomato, tomato and egg, ham and cheese. Flour, water, vegetable oil, yeast, soybean flour, malted grain flour. Stuffing: legumes and vegetables, mayonnaise, tomato, tuna, eggs, ham, cheese.